The Mk 77 Guided Missile Fire Control System (GMFCS) controlled the flight of the missile after launching. 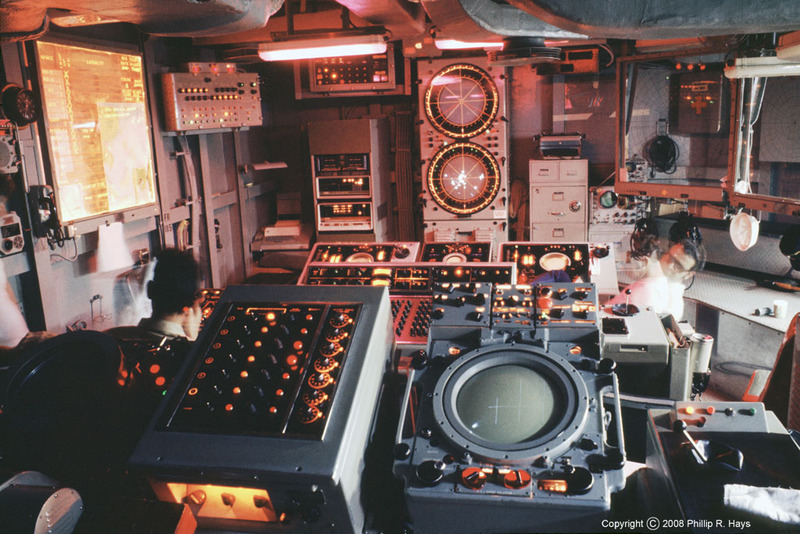 It was composed of the AN/SPG-49 target tracking radars, the AN/SPW-2 missile guidance radars, the MK 111 Fire Control System computer, and a PDP-8 surface trajectory computer. 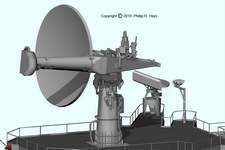 In addition information was provided from the ship's air search radars to initiate target acquisition and intercept. The ship's AN/SPS-10 surface search radar or the MK 37 gunfire director could supply target information for surface targets. The Mk 77 Guided Missile Fire Control System and Mk 7 Guided Missile Launching System were operated from Weapons Control. This compartment was located in the after superstructure above the missile house. Weapons Control was manned during General Quarters and Condition II AAW. The ship's Combat Information Center assigned targets to the Talos missile system. Weapons Control directed the fire control system and the missile launching system to engage these targets. Weapons Control used the air search radars to track up to six targets. The system could engage two targets at a time. SPG-49 control panels in Weapons Control assigned the radars to locate and track targets. Launching system control panels selected missiles in the Ready Service Magazine and moved them to the launcher. A joystick on the launcher control panel allowed the launch bearing to be offset to ensure the booster didn't fall on a friendly ship. A trigger on the launcher control panel fired the missiles. Once the SPG-49s were tracking a target operations to load and fire missiles were mostly automatic. 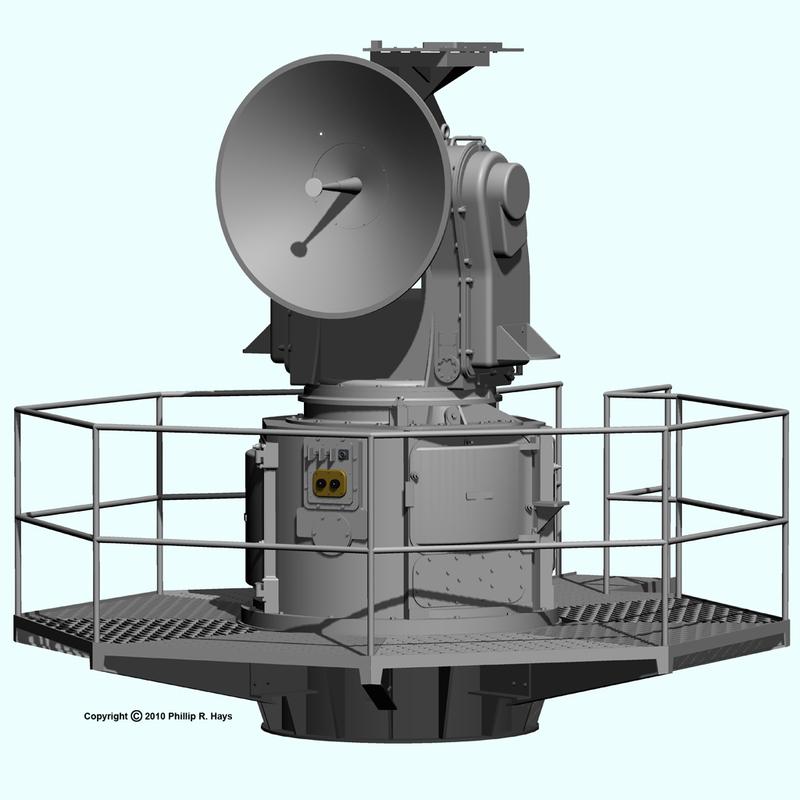 These radars were not specifically parts of the Talos system, but were necessary for initial target identification. The Combat Information Center radar watch monitored the SPS-43 at all times and tracked all contacts. If a contact was evaluated as a threat the bearing and range were passed to Weapons Control. 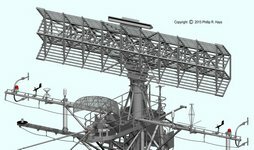 The AN/SPS-43 was a "bedspring" style long range air search radar. It provided bearing and range, but no altitude information. It normally operated in a circular sweep mode to search airspace above the horizon out to 300 miles. The AN/SPS-30 was a 3-D height finder radar that provided altitude, range and bearing information for objects of interest. Weapons Control used it to determine target range and altitude. It could be operated in circular sweep search mode, or it could be aimed directly at a specific contact to provide continuous tracking information. It had a large circular parabolic reflector with a side-mounted feed horn. The feed horn could direct the beam at different angles to the reflector to cause the beam to be projected at different angles vertically to determine target altitude. Effective range was 240 miles. Each missile battery had two AN/SPG-49 long range automatic tracking C-band monopulse radars that could track targets at a range of 150 nautical miles. These were very high power monsters that were 19 feet high, 17 feet wide, and weighed 22 tons. They were the Navy's longest range and most accurate tracking radars. Each radar was assigned to a single target and aimed directly at it. The 49s operated in two modes. 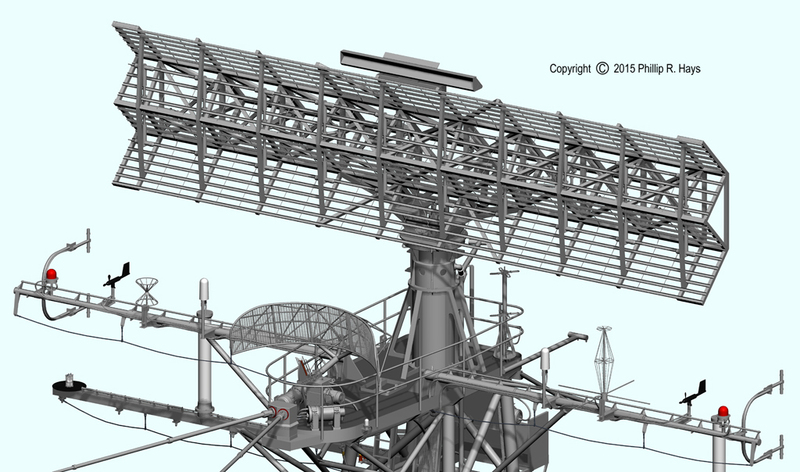 The monopulse transmitter generated 3 megawatt pulsed mode signals in a wide horizontally and vertically swept beam during target acquisition and switched to a narrow pulsed beam for tracking to get target range and bearing information. When the missile approached the target a 5 kilowatt continuous wave (CW) transmitter was turned on to illuminate the target for the missile's homing system. The CW signal was frequency modulated to provide target doppler information for the missile. The missile homed on the CW signal reflected off the target. The AN/SPW-2 was a data link between the ship's Mk 111 missile fire control computer and the missile. It's C-band transmitter generated the guidance beam that led the missile to the target. The SPW-2 operated independently from the SPG-49 tracking radar, allowing the missile to be guided to an intercept point ahead of the target being tracked. The signal from the SPW-2 was detected and decoded by the missile. Then the missile transmitted a tracking signal that was detected by the SPW-2 and sent to the fire control computer to provide missile range data during cruise to target and missile to target range data during the homing phase. The missile maneuvered to stay near the center of the guidance beam. The MK 111 computer steered the beam to guide the missile to intercept the target. When the missile neared the target commands in the SPW-2 guidance beam switched the missile to homing mode to intercept the target. The Mk 111 guidance computer was the heart of the missile fire control system. It was a collection of cabinets full of tubes, servo motors and gears, a follow on from World War II era mechanical gunfire target solution calculators. It was a very sophisticated advanced computer system when it was designed. 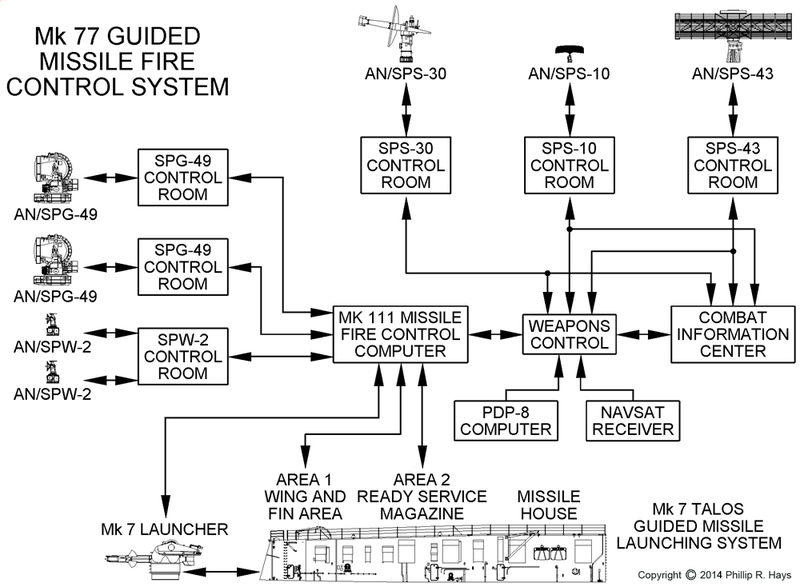 The computer controlled the Mk 77 fire control system and the Mk 7 Guided Missile Launching System in the missile house. When Weapons Control selected the type of missile to engage a target the computer rotated trays in the Ready Service Magazine to place the missile on the launcher rails and moved the bird to the Wing And Fin Area. After wings and fins were installed the computer moved the missile to the Mk 7 Missile Launcher and positioned it for launch. This operation was automatic except for the manual installation of wings and fins, and installation of a purple arming plug for nuclear armed missiles. The computer received tracking information from the SPG-49 redars and calculated the missile flight path to intercept the target. Prior to launch the computer calculated the booster splashdown area to allow the launcher to be aimed so the spent booster wouldn't strike friendly ships. The missile was launched on command from Weapons Control. During the cruise phase when the missile flew to the intercept point the computer received target tracking information from the SPG-49 tracking radar and missile range information from the SPW-2 radar and calculated guidance beam control commands to direct the missile to the intercept point. It also determined when the SPG-49s should transmit continuous wave mode illumination for the intercept and when the missile should switch to homing mode. During anti-radiation shots the computer guided the missile to the target area and told it when to start looking for the target radar. For surface-to-surface shots with nuclear armed missiles the computer flew the missile to the target and detonated the nuclear warhead at the chosen altitude over the target. A large switchboard in the computer room allowed all signals to and from the computer to be switched to different circuits. 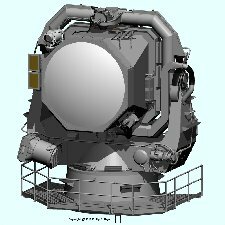 This allowed either SPG-49 or SPW-2 to be assigned to work together on a target, and to route signals to either or both of two missiles on the launcher. Some signals were wired through several circuits so the connections could be switched to reroute around battle damage. The switches were operated manually by operators in the computer room, and some could be operated remotely from Weapons Control. 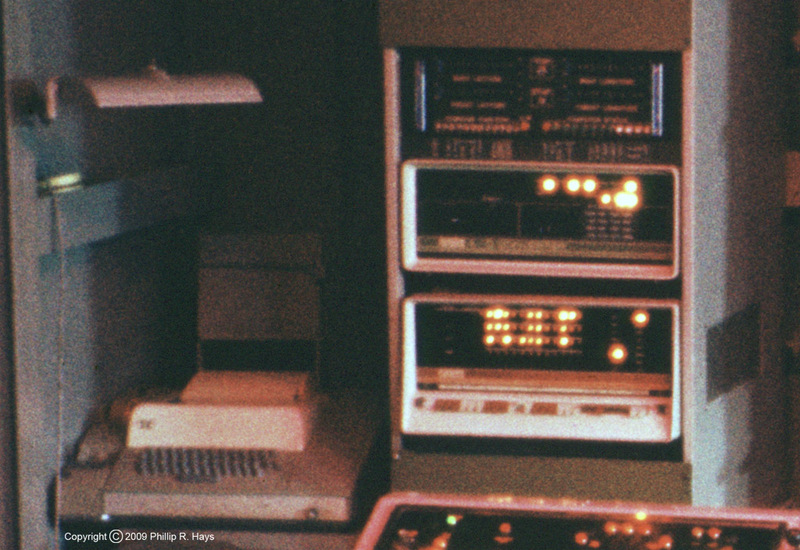 A Digital Equipment Corporation PDP-8 minicomputer in Weapons Control was used to determine missile flight trajectory to over the horizon surface targets (when the SPG-49s could not track the target). This was a state of the art minicomputer in the 1960s. It was mounted in a rack about half the size of a refrigerator. The computer itself was several times the size of a modern (2018) desktop computer but actually had far less computing power than a modern pocket calculator or cell phone. 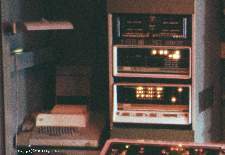 The program was stored on punched paper tape and loaded into the computer through an ASR-33 Teletype terminal (at the left of the computer) that had a tape reader and punch, a keyboard and a printer. This procedure took about half an hour. The NAVSAT satellite navigation system receiver (positioned just above the PDP-8 computer) provided the ship's geographic location (longitude and latitude). The ship's and the target's geographic coordinates were entered into the computer and the program calculated the flight profile. Talos missile history A history of the Talos missile. Ship's history USS Oklahoma City and Cleveland class history. Information about the ship Descriptions of the ship and its systems. Links Other sites relating to the Oklahoma City. What is geedunk, and where do you get it?